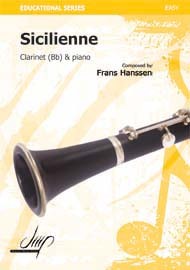 Music for the clarinet is available in many forms. 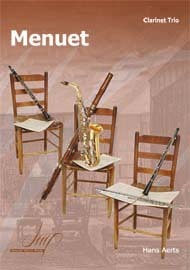 Whether you download sheet music from the internet, or buy a book of pieces to learn, it is easy to find clarinet music at any level of difficulty. Many student clarinet players will first start by playing simple melodies, often arrangements of well known tunes. Often these will be in whatever book their teacher has suggested for them to use to learn to play the clarinet. Many beginners are also members of bands or orchestras. These players will also be given music to learn that may not always be the melody (the ‘main tune’) but is still an important part of the overall music. If the student goes on to join a more advanced level, they will come to realize that often parts written for clarinet are harmony, rather than main melody, parts. These parts can be just as interesting and challenging to learn as solos. 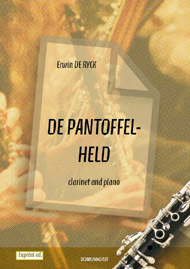 The orchestral repertoire also contains many famous solos for clarinets, and books of these solos are available for students to learn. While many jazz tunes are now written down, much jazz music is improvised, that is the player ‘makes up’ what they are playing as they go along. This does not mean that the clarinetist can play randomly, as the music they make must fit in with the chord structure of the overall piece. Many jazz players start by learning the twelve bar blues, which is the basis for much jazz music, and this form of music is so simple that many beginner clarinetists can learn to play improvised music very quickly.